Our wrestling program aims to promote and develop the sport of wrestling for everyone from 2 years old to adults. We have different focuses in each age group, but the fundamentals of wrestling are strongly emphasized in each group. Fill out the form below, and we will be in touch with you soon. Bang Muay Thai is a system for teaching, training and implementing effective striking (punches, kicks, knees and elbows) for self defence and competition. It is a proven system created by Duane Ludwig, who has a storied history of competition and coaching success in both Muay Thai and Mixed Martial Arts. Our programs have a strong focus on the technical aspects of Muay Thai but still ensure a great cardiovascular work out every class. This program is great for anybody looking to get in shape or change up their current work out routine. 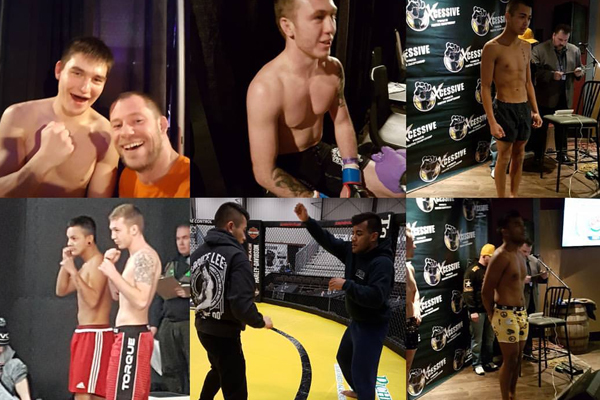 We also have the most active fight team in the city for those who are interested in competition. 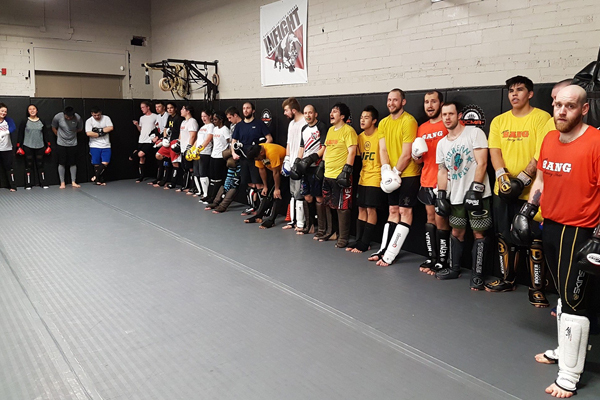 The MMA class incorporates elements from boxing, muay thai, wrestling and jiu Jitsu and puts them together into one cohesive system for use in self defense and competition. We offer classes for kids 8 -13 years old and adults 14 and up. The MMA is a great class that will challenge your strength and endurance, while also offering the most complete form of unarmed self defense training available. Whether you’re interested in self defense, fitness or competition, this class is all encompassing. Our Submission Wrestling program offers all the features of Brazilian Jiu Jitsu but without use of the Gi (Kimono). This program focuses on ground fighting but is strongly influenced by wrestling. Brazilian Jiu Jitsu has been proven to be the premier martial art for self defense on the ground and this class will prove why. No Gi BJJ is a fun and energetic way to burn calories, learn a proven martial art for self defense, compete or all of the above.